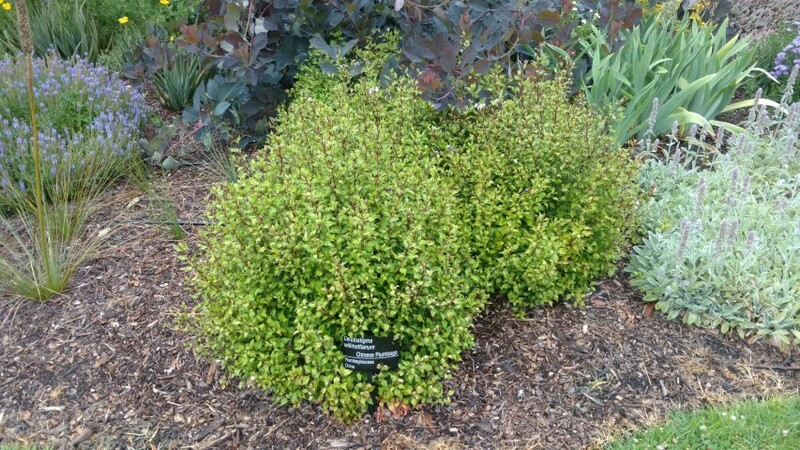 Notes: Growth habit: Spreading Foliage Alternate, broadly obovate with tapering at the base, 3 inches long. Leaves emerge late in the spring. Leaves turn bronze-colored in the autumn in cooler climates. Flowers: Small dense terminal groups, dark blue, with a 1-inch long corolla. Blooms July to September. Culture: Full sun or partial shade and well-drained soil. Will not tolerate wet soils or competition from tree roots. 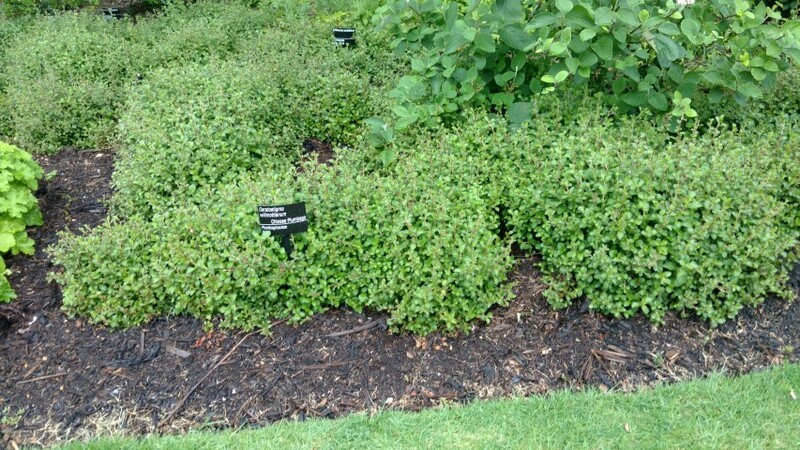 Cut to ground level in the spring to stimulate new growth. 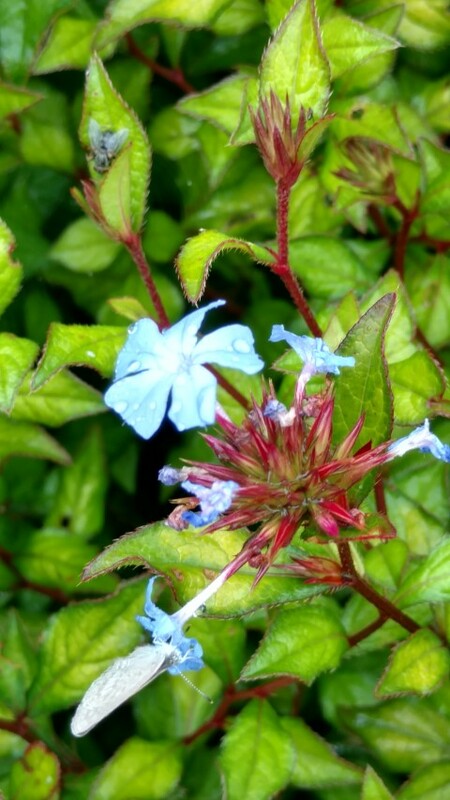 Uses: Groundcover; in front of shrubs Propagation: Division, stem or root cuttings, seed. Notes courtesy of Sue Trusty.